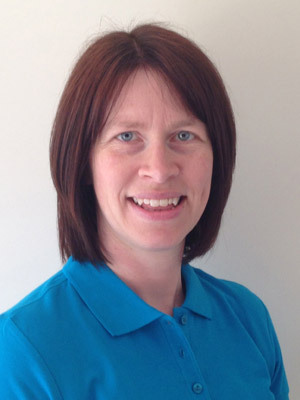 Total Care Physio in Taverham, Norwich & Loddon, South Norfolk are clinics set up by Physiotherapists, Claire & Sarah with the same aim: to provide quick access to treatment and fast results. They want to treat the whole person and find the true cause for their pain. For example, headaches and dizziness can be caused from neck problems, knee pain could be due to poor foot control, and low back pain can be caused by poor pelvis control. They genuinely care about every patient and this holistic approach focuses on getting the patient to full recovery fast. Claire and Sarah met over nine years ago whilst working together on a weekend shift in an orthopaedic ward. Along with their friendship they found they complemented each other professionally, offering a broad coverage of expertise for clients needs. Together they can boast over 20 years experience, have an excellent reputation within physiotherapy, and have worked in different aspects of the NHS, private hospitals and private clinics, both within busy city centres and GP clinics. They are both HCPC, AACP and CSP registered and have undergone additional extensive postgraduate training and will continue to do so. They both believe that this is important and pride themselves on keeping up to date with latest medical research and treatment techniques. Together Claire and Sarah bring expert knowledge and experience to a whole range of medical conditions, from an older arthritic joint to a young sporting injury. They carry out skilled assessments to diagnose quickly and accurately to improve health, wellbeing and quality of life of each person who attends the clinic. They are able to liaise with your GP or consultant as and when necessary. Talk to us today! Claire Emerson started working as a physiotherapist within a private hospital in an inpatient orthopaedic setting before transferring to an outpatient musculoskeletal clinic. Initially she focussed on treating lower limb conditions before joining the spinal team. While working in the spinal team she worked closely with other Spinal Specialist Physiotherapists and liaised with the Spinal Consultants. It was during this time that she was asked to set up a Pilates service for classes and one to one sessions. Professionally she has developed her Pilates teaching skills and runs many classes at different levels and 1:1 sessions. Her teaching in Pilates can be focussed towards the beginner through to an elite athlete, can be standing exercises only, sports specific and can accommodate ante and postnatal needs as well. Claire’s career has been heavily influenced by her own sporting background in horse riding and long distance running. After beginning to compete at the age of 11 in track and field and cross country running, she went on to compete at a National level in the USA through her years at University. Claire feels this personal experience of high level competition and training both physically and mentally aids her skills in treating people with sports injuries. Claire has worked for the Norfolk athletics network and delivered workshops for injury prevention and core stability training for runners. Claire enjoys spending time with her two young sons and she loves to spend any spare time she has either in a gym or running around the streets of Norwich. 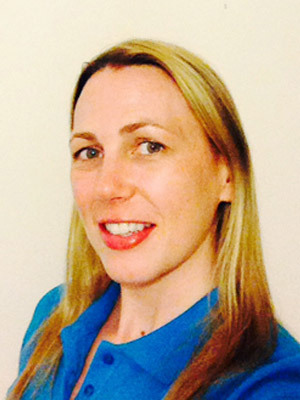 Sarah Considine has worked closely with Orthopaedic Consultants, especially over the last five years, helping Spinal Consultants to develop protocols for physiotherapy rehabilitation following surgery to the neck and back. Sarah has knowledge and experience of workplace related injuries. She believes that work is good for physical health, mental health and well-being. She therefore uses her ergonomic assessment skills to develop a rehabilitation treatment programme tailored to the workers individual needs to maximise recovery and encourage a safe, early return to work. With preventative advice she can minimise the likelihood of persistent problems, empowering individuals to maintain their own health afterwards. With the clients consent Sarah can liaise with other occupational health professionals and managers to advise where necessary. Sarah has a keen interest in the causes and treatment of conditions causing symptoms described as dizziness, vertigo, labyrinthitis, neuritis, BPPV (Benign Paroxysmal Positional Vertigo) and motion/travel sickness. These problems can be very distressing; they often arise from your inner ear (known as the vestibular system). Sarah has been on many courses to enable her to effectively treat these conditions and enjoys the challenge of improving the well being and quality of life of her clients that suffer from vestibular related conditions. Sarah enjoys a full family life, having three children (all sports-mad) and an enthusiastic chocolate labrador.